In Parts 1 and 2, we talked about the vital importance of innovation for any industry. It doesn’t matter if you make cars, vaccines, consumer electronics or running shoes, you need to push forward every year, every season, every month and every day. Innovation isn’t just an objective, it’s a process. There is a mechanism behind it. And no matter how you approach it, certain aspects of that process remain, at their core, immutable: Observing the world, for starters, both from inside your product, brand and industry bubbles, and from without; then looking for opportunities to improve or explore a new direction, or solve a problem; then ideation: coming up with practical ideas that can be applied to said problem; then testing these ideas. Enter prototyping and simulations. Enter the quick sketch on a piece of paper, the clay model, the ‘close your eyes if you will and imagine’ narrative. Back in the day, product innovation was my job. Years ago, I was hired to help a faucet company rebuild its brand. There’s a massive cluster of case studies there that I will have to share someday, but the short of it is this: while the company thought it had a marketing problem, it actually had a product problem. Once I realized that, I partnered with design engineers, end users, manufacturing engineers, even maintenance pros to look into ways of redesigning some key products to address some of the complaints (and items on their wish list) that might guide the design of the next generation of products that would replace the ones people no longer wanted to buy. In the initial stages of the process, we relied on sketches, white boards, scotch tape and random parts, even LEGO blocks to talk about our ideas. We had show-and-tell sessions where items we made out of random objects were brought in to illustrate specific design ideas: super tough rubber chew toys for dogs; modern, minimalist flat spoon handles, gardening spray handles. Getting to the final design was a very hands-on process that demanded a lot of mental visualization. It was probably 2005, and we also had SolidWorks, which at the time was about as advanced a 3D modeling software as you could get. My design team was getting pretty good at using it, and once we agreed on the key design features, they started modeling the prototypes using the software. Aside from the engineering (and later manufacturing) advantages of being able to model the product in 3D, one of the most important aspects of having a 3D modeling tool was the ability to create realistic visual samples for senior executives who were vested in the project but not involved with it on a daily basis like we were. They needed to be able to see something. A table full of random objects and sketches wasn’t enough. Watching the product move in a 3D environment, almost as if it were real, played a crucial role in ‘selling’ the progress and direction of the project to people in the organization who weren’t as intimate with it as the project team was. Then came rapid prototyping. We were one of the first companies in South Carolina to use 3D printers to prototype a product. 3D printers were still in their infancy then, and printing a part was fairly expensive, but we knew that it was the next step in the process, so we had all of the parts 3D-printed, then assembled the prototype for the brass to see… and touch… and feel. We were a step closer to making the product real for them. It had gone from brain to paper to a computerized 3D environment to a mechanical object they could actually hold in their hand. (We even tested its performance in the lab, and it worked better, even as a printed prototype, than the product it was intended to replace.) The next step was to order tooling and produce small runs of the parts we would need to test real prototypes in the lab and the field, which we did. That investment probably wouldn’t have been made if we had not been able to make the product “real” for decision-makers through the use of 3D and virtualization technology. All in all, it took us about 18 months from ideation to production… to design a dish washing spray valve used in commercial kitchen. 18 months. I knew then that, given better tools, we could have done it in half that time. The weight between stages was frustrating. Input was difficult and labor intensive. Computing power was nowhere near what it is today. There was no cloud computing yet – not really. As good as 3D virtualization was already, it doesn’t compare with what is available today. Even the product testing itself had to be done IRL (in the real world) because there was no reliable way of testing a product for performance (and to failure) in a virtual environment. The result: sloooooooow progress from stage to stage, and expenses that are now no longer necessary. It’s funny to look back on the methods we used back then, just ten short years ago, and to think that they were cutting edge for their time. The state of rapid prototyping and 3D virtualization: rolling into 2015 with Honda. Fast-forward 10 years. I am sitting in the Cosmopolitan’s Chelsea auditorium in Las Vegas on Day 2 of Dassault Systemes‘ #3DXforum, and right there on the stage is Eric DeHoff, talking about advances in automotive crash testing. Eric is Principal Engineer/CAE Technical leader Vehicle Structures Research with Honda, and the stuff he is showing the audience on the three massive screens behind him is, frankly, mind-blowing. First, he shows the audience actual ghost-cam footage of a physical crash test. You know, the ultra-slow-motion footage of a minivan slamming into a wall. Top view, side view, front view, inside view – crash test dummy and all. Glass and plastic tumbling through the air like space debris, airbags deploying like blooming mushrooms of mercy, steel and aluminum crumpling like paper. It’s gorgeous and powerful and real in all its poetic violence. This is what it takes to ensure that we, consumers, drivers, are safe, that these vehicles are manufactured to adequate safety standards. He explains the economics of the process, the cost of building a small fleet of prototype vehicles that people can drive and later sacrifice to the crash-testing gods. he talks about the amount of time it takes to get from concept to crash testing. All of this is starting to sound familiar. The pain points are the same for everyone – it doesn’t mater if you’re making cars or faucets. But then, something happens. Eric is smirking. He shows us what he calls ‘traditional’ 3D modeling: brightly colored computer graphics showing a vehicle and all its moving parts, crumple zones, crude animation derived not from sensor data in the vehicles themselves but from computer simulations. He explains that the reliability of computer simulations has been near 100% for years but that the poor quality of graphics did little to sell anyone on the notion that they were as reliable as physical crash tests. There’s friction, in other words, between the data and perception. Seeing is believing, after all. It’s the old writing adage all over again, but applied to engineering: don’t tell me, show me. The images on the screen are now exactly like the ones he showed us before: ultra-slow-motion footage of another minivan slamming into a wall. Top view, side view, front view, inside view – a different crash test dummy this time. More modern… I don’t know. Slimmer, I think. Same glass and plastic tumbling through the air like space debris, same airbags deploying like blooming mushrooms of mercy, same steel and aluminum crumpling like paper. It’s just as gorgeous and powerful and real in all its poetic violence as the footage he showed us earlier. And then he hits us with it: that’s a simulation. There’s no physical car. There’s no physical wall. There’s no physical crash test dummy jerking face-first into an airbag. It’s all happening inside a computer. Now the data isn’t just telling, it’s showing. He proves it by manipulating the image: at the click of a button, it becomes see-through. The outer skin is transparent now and you can see the engine, the front axle, the bumper. You can see everything. He changes the point of view at will. He brings us back to the outside of the car, as photorealistic as the real thing. You can hear waves of gasps making their way around the room. People are chuckling in amazement. If he were to quit his presentation now, he would get a standing ovation. Eric then explains the economic impact of that kind of design and testing on Honda in terms of % of cost saved (a topic I will return to later, so keep reading) and time saved. Using this technology, Honda can develop and manufacture a car much faster and cost efficiently as it used to when it had to physically build 60+ prototypes. The lesson: virtualization has finally reached a point where it is not only as accurate as real world testing but as realistic to the human eye as real footage. To mark his point, Eric shows us footage of a car driving on a road, then in a desert. It looks like a TV commercial. In fact, it probably is. Simulated as well. None of it is actual footage. It’s all rendered. he explains that even outside of the engineering capabilities of this technology, the marketing applications are changing the way products are sold internally (to an organization) and externally (to investors and consumers). Boom. Mind blown. Why wasn’t this stuff around ten years ago? A New Golden Age For Medical Research. To recap: virtualization is being used to model the human heart in such a way as to accelerate medical and technical innovation that will save lives. Imagine the applications for spinal injuries, cancer research, respiratory illnesses, even infectious diseases. This is precisely the sort of advances that were touched on at IBM’s #ThinkForum several weeks ago, when researchers explained how IBM’s Watson was being used to help cure cancer. Same elements again: advanced virtual environments, cognitive computing, computing capacity on demand via the cloud, collaboration and crowdsourcing, also via the cloud. Same principles but from a different angle: the focus here is the virtualization piece, the 3D environment piece, the rapid prototyping piece. What about other industries? We’ll talk about retail and marketing in Part 4, because it deserves its own post. For now, let me end with a little piece of insight, and one which sparked a good deal of hope for me. 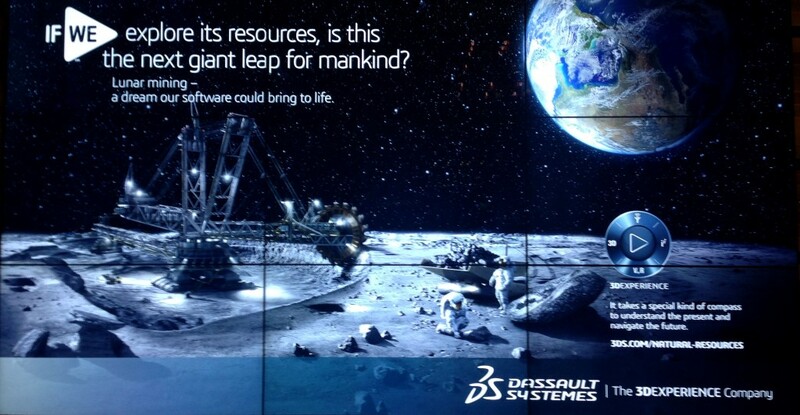 VR and the new economics of spacecraft development. Crash testing aircraft virtually instead of IRL is about 75% cheaper. You can do it before you have manufactured all of the parts and made a vehicle. Now that virtualization is reliable, the FAA is starting to turn to virtual testing (as of the last few months). On average, the timeframe from concept to testing an aircraft is cut short 3 years using VR. 3 years. 75% cheaper. And we aren’t even talking about 3D printed satellites yet (which did come up). Update: say hello to the first object to be 3D printed in space. So let me reframe this for you: Pitch an aerospace startup in 2005 against itself in 2015. Both are looking for funding. The 2005 version needs to build, test and crash experimental aircraft and repeat and repeat and repeat before they can hope to have a viable design. The 2015 version, on the other hand, can design and test its aircraft virtually with the same degree of reliability (one might argue that it can do so with greater reliability). The 2015 version can get from concept to testing 3 years faster and at a fraction of the cost (not to mention the considerably lower risk to test pilots) compared to its 2005 self. Which of the two versions of this company is most likely to be funded? Bonus: with shorter (faster) innovation cycles, how much faster can spacecraft designs evolve? Faster, cheaper, better. That’s what we’re talking about. VR isn’t just helping engineers solve mechanical and structural engineering problems. It also helps them design and test new materials, new fasteners, new modular designs, even new fuels and systems of systems. Every aspect of an aircraft or spacecraft can be reimagined now, at a rate and cost that would make engineers of just a decade ago drool with envy. We are speeding past the aluminum and steel age and shifting into a composite and exotic material age. The changes on the horizon (and the new horizon of opportunity it brings us closer to) are staggering. We are looking at significantly reducing barriers of entry in the new space race – whether we are talking about sending people on the moon again or to Mars, or sending machines to mine comets, or simply talking about traveling from one part of the globe to another faster (and with a much cooler view). Connecting the dots: a new global framework for innovation and what it means for all of us. Once you take a step back from the average news cycle and pay attention to the work being done every day by scientists, engineers, doctors, researchers and other pioneers, it becomes clear that humanity is actually on the cusp of a very real new wave of innovation and scientific progress that transcends anything we’ve seen in our lifetimes. If you go back to Part 1 of this series, you will recall that I talked about hope quite a bit. Hope in the future, hope for humanity, hope for civilization. The stuff I am talking about in this series isn’t exactly making the news. I mean… some of it is. The comet landing was covered pretty well. Medical research is often reported on properly. But what’s missing from the news and from our collective knowledge is that the process of innovation, paired with new technologies that just keep getting better and better every day, is literally building a framework for innovation that will benefit humanity as a whole. These scientific advances aren’t just proprietary discoveries locked away in some lab. This isn’t about Ingredient X sitting in its vault and the Chinese trying to copy it. The technologies being developed by companies like IBM and Dassault Systemes are now universal platforms increasingly used by other companies to develop solutions to complex problems: medicine, vehicle safety, agriculture, aerospace, mining, even life-hacking and retail. Once you get on the inside of this, you can start connecting the dots, and the dots, once connected, paint a pretty clear picture of the ripple effect of this culture (and now framework) of innovation. And while some people may fear change and what’s coming – the Big Brother and Pandora’s Box scenarios – there’s a flip side to it all. A more optimistic side that falls more into the realm of Carl Sagan and Gene Roddenberry visions of humanity’s future: that we have it in our power to move forward, to better tomorrow than we were yesterday, and better off too, which is just as well. There’s a story to be told here, and it needs to be told, because 24-hour ‘news’ networks certainly aren’t falling all over themselves to try and tell it. This series on innovation is only scratching the surface. These posts are just the introduction. As the series progresses, we will look at the process of innovation itself (the how-to piece) as well as specific examples and case studies of how companies applied innovation models to solve a problem, gain a competitive advantage, or get out of a rut. I definitely want to show you how the methodology and tools can be applied to marketing, but I have to paint a bigger picture first because marketing, as dear to my heart as it may be, is a very small piece of a very big story. In Part 4, we will talk about the growing use of virtualization in retail, and how marketing departments are using new tech to get from concept to shelf (actually… from concept to consumer) a lot faster.